The Edge model of coaching has been proven to be effective at improving students’ abilities to study and succeed in school. is highly effective in helping students improve self-regulation, study skills and will. improved ability to stick with tasks even when they found them challenging. Improvement in self regulation was more than double for that of other educational interventions. The improvement on executive function was quadruple other interventions. Research findings with effect sizes that large (i.e. double and quadruple other interventions) are rare. The number of ADHD students dropping out of high school and college is alarming. Close to 30% of students with ADHD will drop out of college. 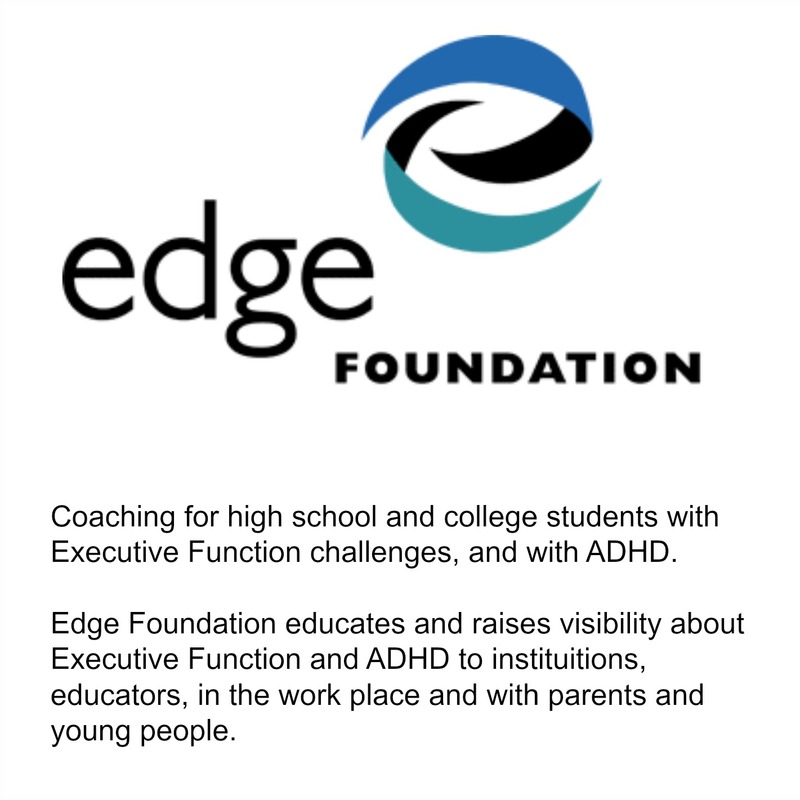 With the Edge model of ADHD coaching, ADHD students don’t have to be “at risk” students. Set up a game plan with your coach to make exercise a priority in your life. Try a bunch of different exercises and pick the ones that work best for you, whether that be weight training, yoga, walking, etc. Switch it up! Don’t get stuck in a rut with your workout, have fun with exploring new things. Making exercising a social event. Instead of going to happy hour or to a movie suggest going on a scenic walk or kickboxing class with your friends. Make your commutes into exercise by walking. Make sure to switch up the routines to see new things and keep you interested. 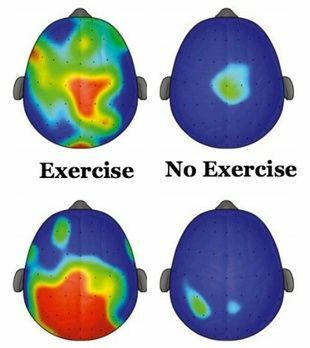 When you have ADHD it is especially important to have exercise be part of your life. Remember that exercise boots brain function and releases endorphins, which give you the feeling of well-being. What exercises have you found to be the best for you? How have you seen your performance at work or school change in relation to you activity level? Please share your experience in the comments. Or join the discussion on Facebook. Editor’s Note: How often do you feel like a failure? If you’re like most of us, plenty of times. Now how many times have you celebrated your failures? A great moment about the positive side of failure is in the cartoon, Meet the Robinsons. When our hero spectacularly fails to fix an invention, his friends aren’t mad, instead they celebrate. For, as they explain, without failure, you never learn anything. This week’s guest post, by Edge coach, Gayla Wilson, digs deeper into the myth of failure and encourages us to view “failures” as bumps in the road towards success. How can we ever know how far we can go unless we are willing to fail? Playing it safe requires us to live inside the boundaries of our limitations. A diagnosis of ADHD can mean a limitation of too few neurotransmitters (the thingies that help us focus and concentrate). This doesn’t mean we have to live inside this limitation. We can manage this in several ways; education, coaching, medication, exercise, diet and therapy just to name a handful. You know the game we all play sometime; “What would you do if money were not a concern.” I ask my coaching clients “What would you do if you knew you would not fail.” When we strip away the “yeah, buts,” “if onlys,” “shoulds,” “I can’ts” and my favorite “I tried that and it didn’t work” what do we have left? It takes great strength and courage (an “I told you so” occasion for the nay-sayers in your life, real and imaginary) to consider the possibility of failing. To know in your heart you might fail and then decide to take the plunge and do it anyway. 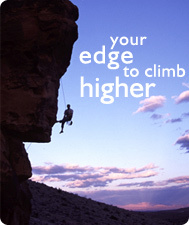 Anis Nin said, “Life Shrinks or expands in proportion to one’s courage.” What will it take for you to feel courageous? A life of unmet potential is easier and less painful. Those of us with ADHD have had our fair share of bumps in the road. Sometimes we settle for a life of unmet potential because it is just plain easier and less painful. Henry David Thoreau’s famous quote, “The mass of men lead lives of quiet desperation,” describes it well. Thoreau sought to learn to live deliberately and without resignation. He did not want to discover that he had not lived. Bob, my husband, has quoted this passage many times to me over the years. It has become his mantra, a reminder, as he learned to move through his daily challenge with ADHD. Like many adults diagnosed late it life Bob has had his fair share of bumps. Many of us have learned to rely on the strategy of defensive pessimism. This strategy anticipates a negative outcome and then we take steps to avoid that outcome. Not necessarily a bad strategy, but certainly a limiting one. Yes, we must learn from our past mistakes. The learning and wisdom we gain from those mistakes guides our future…fail it forward, get it? As we side-step our way to the comfortable use of the word failure we can live firmly in the present. Fail, learn, grow, and succeed. Want to think on this topic some more? You might also be interested in https://edgefoundation.org/blog/2009/07/14/adhd-is-it-a-good-or-bad-thing/. How do you view failure in your life? Do you agree that you can’t learn if you don’t fail? A new year is just around the corner waiting for you to embrace it and to continue moving forward one step at a time. Have a great New Year! This holiday season if you are purchasing any last minute gifts via Amazon.com, please use this link to enter the site. You pay the same price, and Edge gets a small contribution for each of your purchases! Thank you! Ellen Cohen holds both an MBA degree and a JD law degree. She received coach certifications from the College of Executive Coaching and ICF, the worldwide coaching organization that established guidelines for coach conduct and ethics. She has taken the JST Coach training for teens, college students and children, 8 -12 years old. Prior to coaching, she saw many with ADHD who had struggled with school and work. As a coach, she has found she can make a real difference. She is passionate about helping clients experience less stress and more success in their lives.